Program and Project delivery in IT is becoming increasingly complex and challenging with the dispersion of project teams across geographies, multiple vendors, dynamic changes in scope, and stakeholder expectations of faster delivery at lower budgets. 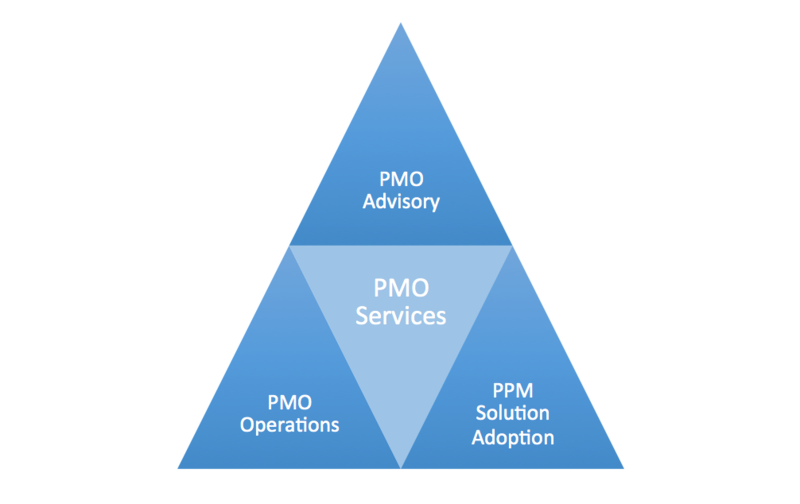 PMO function plays a crucial role in managing this complexity and overcoming the challenges. Our PMO services uniquely combine the decades of experience that has gone in to building the Cloudbyz PPM solution and the learning from implementing the solution. Cloudbyz’s PMO services can provide support to organizations right from project demand management to portfolio management to project execution to reporting and analytics thus enabling the customer’s internal PMO core team to focus on the key aspects of strategy, stake holder management, change management, benefits realization and innovation. Cloudbyz helps customers in a assessing the maturity of the current project portfolio management processes and in setting up PMO in accordance with the project delivery-operating model. We also help in establishing the project delivery and PMO governance processes along with associated SOPs, templates, guidelines, reporting formats and dashboard visuals. While the value of PMO to successful project delivery is well established, the budgets for PMO keep shrinking year after year. Cloudbyz offers a cost effective shared service model that enables customers to realize higher ROI on their PMO investment. Under PMO operations, we provide support across demand management, portfolio management, governance, program / project administration, financial management, risk and issue management, reporting / dashboard and analytics. Many organizations implement PPM solutions with a tool focused approach without addressing the process and people aspects thus failing to achieve the objectives. Cloudbyz helps organizations in defining the processes prior to PPM solution implantation and also subsequently provides data stewardship and analytics support to enable adoption by users and realization of benefits from the implementation. This entry was posted in CIO, Digital Transformation, IT Portfolio Management, PMO, PMO as a Service, Project Portfolio Management and tagged IT Portfolio Management, PMO, PMO as a Service, Project Management. Bookmark the permalink. ©2017 Cloudbyz Inc. All Rights Reserved.